A group of gay and lesbian Londoners decide to form a fundraising organisation for the striking miners in the 1980's and form an unlikely bond of friendship with a Welsh mining community. Pride is a typically British comedy-drama following the usual "moral message with jokes" formula that has been so successful at the box office in the past. What marks this particular example out from the crowd is the fact that although it can be a little crowd-pleasing and sentimental, the characters are so likeable and the politics so stirring that it is totally infectious; its message of solidarity in the face of adversity and friendship across borders of both geography and society is both heartwarming and uplifting in a way that most films can only aspire to. The cast are all excellent in their respective roles, the script is near pitch-perfect in its blend of laughs, politics and nostalgia and although somewhat manipulative it does so in a way that genuinely tugs at the heart strings while never feeling cynical. 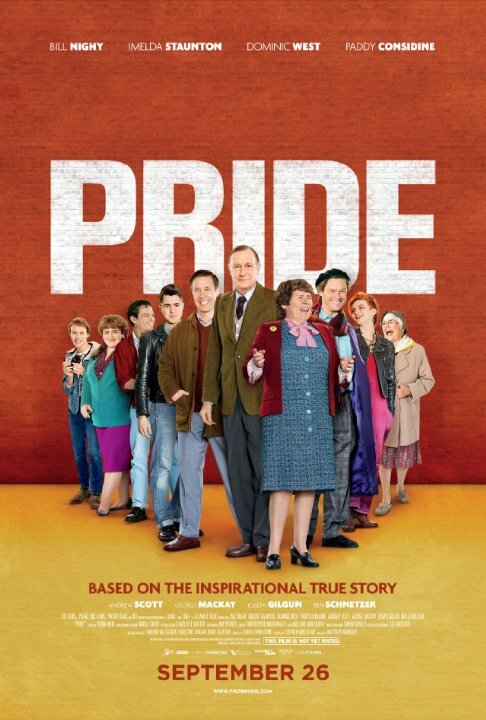 Funny, moving and inspirational, Pride is easily one of the best comedies of recent years.